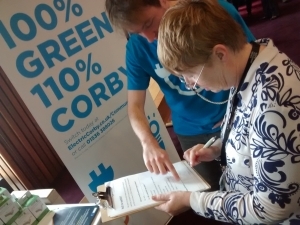 All through the Summer and Autumn, Electric Corby and the Community Energy team have been getting out and asking residents of Corby two important questions about energy – ‘Have you recently switched providers?’ and ‘If no why don’t you switch?’. The results highlight some key trends that we will look to help tackle and help overcome where possible. Over 140 surveys were completed, both online and in person. To the question, ‘Have you recently switched providers?’, 73% of respondents said they have not switched. Why is that you may ask? There were two big hurdles that people highlighted as barriers to switching. The first was that switching is seen as a ‘hassle’ which over 20% agreed with. The second was that residents were tied into fixed rate contracts, which also saw around 20% highlighting. Other issues highlighted include, lack of time, complications, loyalty or that the price difference is not enough to justify the time it takes. As part of the survey, a £250 winner will shortly be announced from the survey respondents.